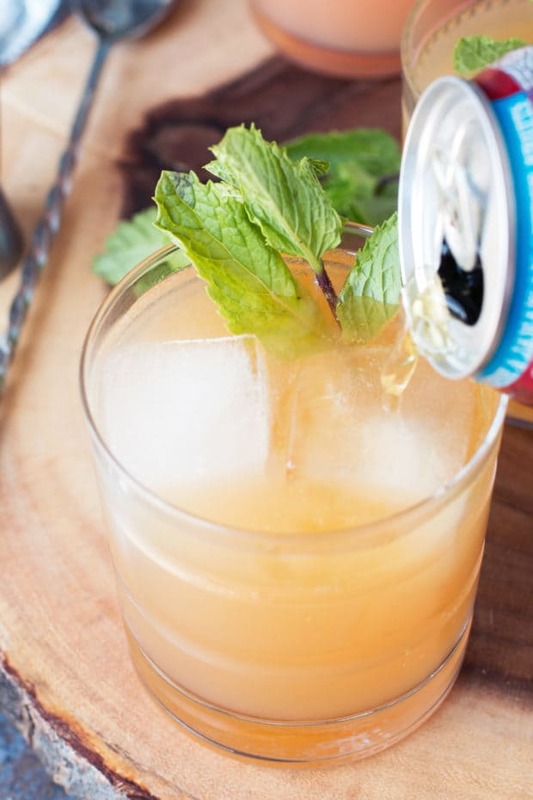 If you aren’t putting beer in your cocktails, you aren’t living life to its fullest. 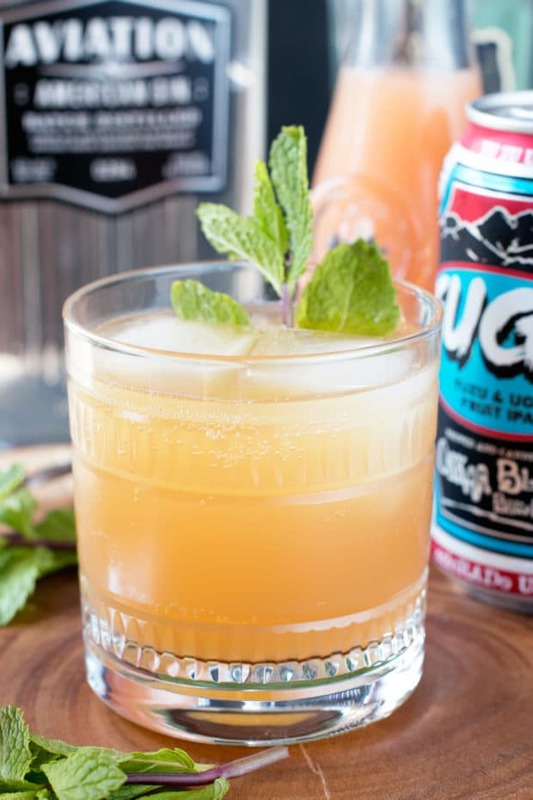 Change that now with a delightfully refreshing Elvis Cocktail! 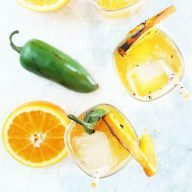 This end-of-summer cocktail is rich in hoppy and citrusy notes, with a splash of sweetness to satiate your thirst as we make it through these final hot days before fall sets in. It’s HOT here in Denver. More accurately it’s HOT in my office on the second floor where the air conditioning doesn’t really reach and I end each day feeling like I’m going to melt into my chair if I lean back too far into it. I am on the struggle bus this week. Oh I’m only moving in a week and a half, and if that wasn’t enough stress, add on top of that about 5 intense home improvement projects that NEED to be wrapped up before we move into the place. If I never paint again in my life, I will die a happy woman. Pro Tip: If you have 42-inch cabinets and a TON of them, do NOT refinish the cabinets yourself. Pay someone else to do it. It’s not worth the layers of paint, the exhaustion, and the stress. With all this packing and painting, a boozy cocktail with a splash of beer is a comforting sight when I am about to collapse in bed from exhaustion. 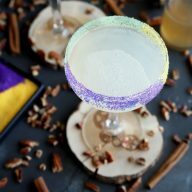 Have you ever heard of the Elvis cocktail before? If you’re anything like me, you didn’t know it existed until someone told you about it. It’s actually quite a brilliant cocktail. 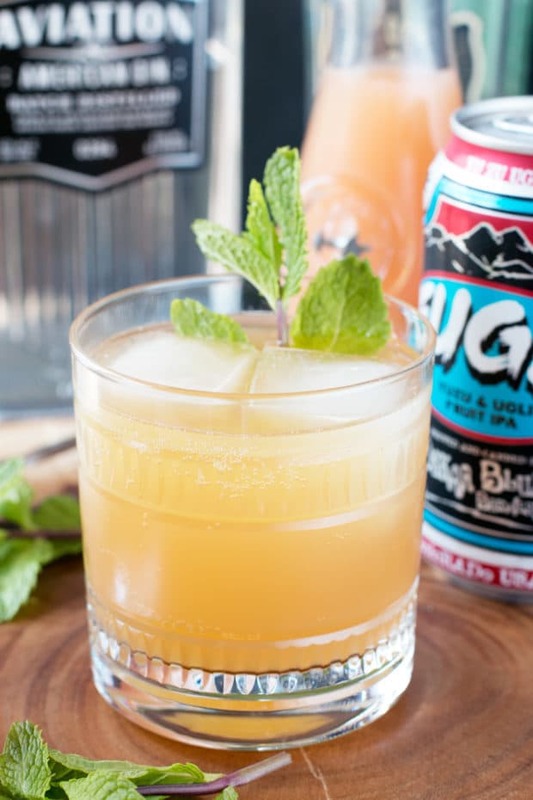 Beer cocktails are all the rage here in Denver, but I haven’t really found one that I’ve LOVED (at least not one that costs less that $14 – !!!). As I’ve been getting more and more into IPAs over the summer, I’ve been REALLY getting into the grapefruit IPAs. 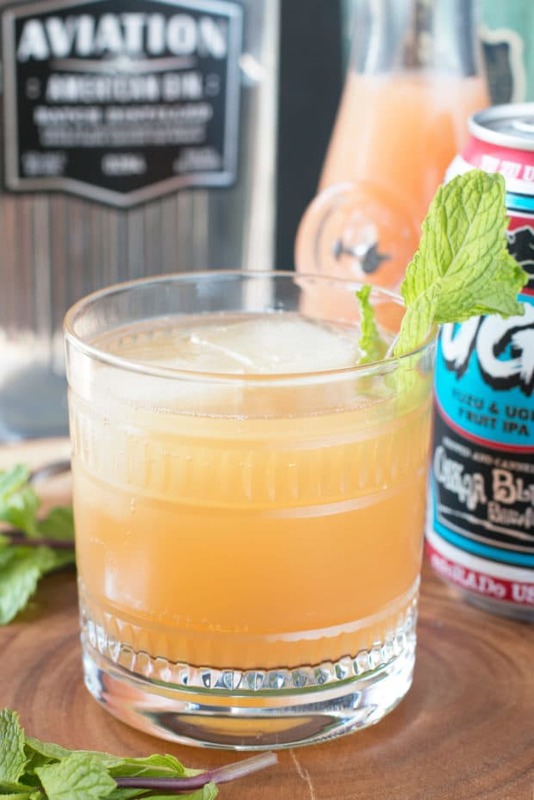 Gin bridges the gap between a hoppy IPA and tart grapefruit juice. The hoppy notes mixed with tangy and floral flavors bubble up out of the glass with great joy to my eagerly awaiting taste buds. 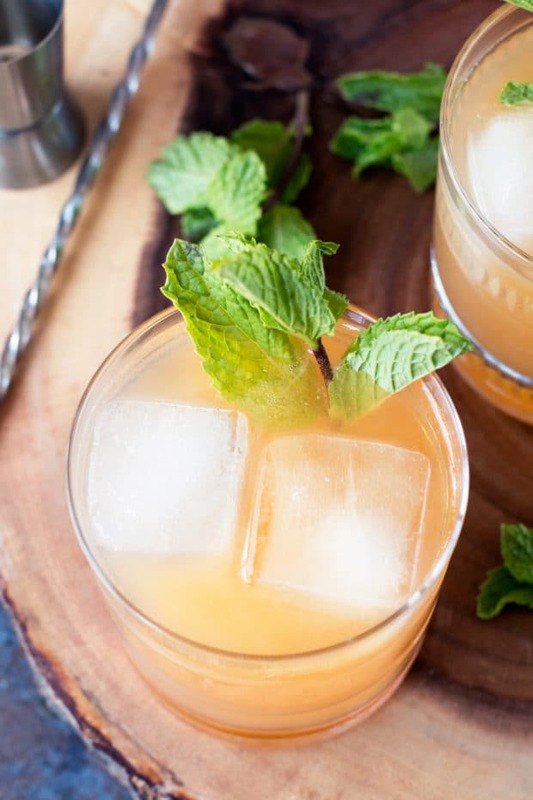 It’s refreshing, it’s easy to make, and it’s perfect for all the ladies and gents. The beer lovers get their beer fix. The booze enthusiasts get their gin fix. Everybody wins! 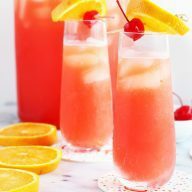 All I know is this is DEFINITELY the cocktail I’ll be serving up when I move as a reward to all my hardworking friends and family. If you’d like to volunteer to help carry heavy things, lemme know 😉 hahahaha jk jk… or am I….? Ozera Silicone Ice Cube Tray Molds because yes, good ice molds are actually necessary in life. Sur La Table Wood Slice Serving Board to serve everything up in style! 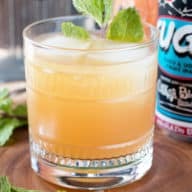 Pin this Elvis Cocktail recipe for later! The hoppy IPA with slight fruit notes pairs wonderfully with citrusy grapefruit juice, floral gin and a slight sweetness from St. Germain. 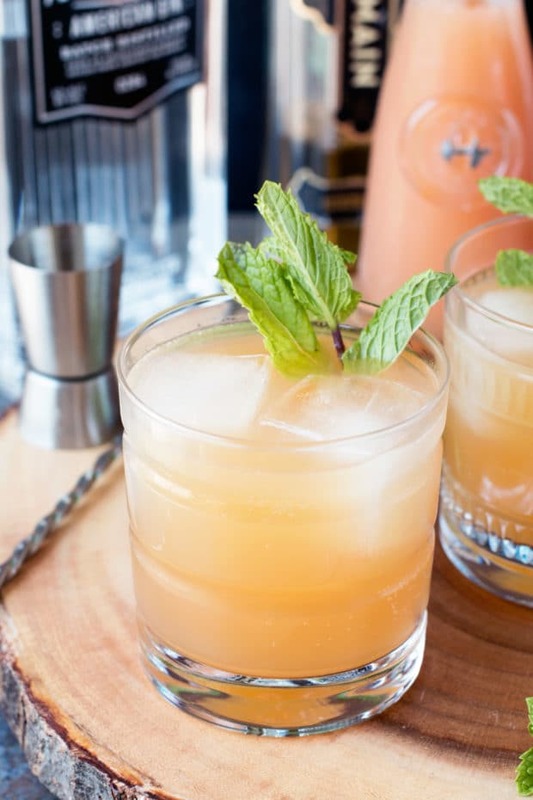 Add gin, grapefruit juice and St. Germain to a cocktail glass. Stir to combine.